Here is another handy list of some AMAZING websites designed for children. Great websites to keep your little ones amused on those rainy days. There's plenty of games, colouring pages, word finds etc. I've put in a few rugby sites in to the list this time, as now that the mighty All Blacks have won the Rugby World Cup 2011 there's even more kids who are rugby-mad. Below is a diverse array sites, so there should be at least a few to appeal to each child...they can be a fussy bunch! 1. Zhuniverse is the official home for ZhuZhu Pets. Colourful, and super cute site that is sure to appeal. Great online games plus loads of printable fun, like colouring pages, masks and word searches. This site will be extremely popular with kids who collect Zhu Zhu Pets or have seen the movie "Quest for Zhu". 2. 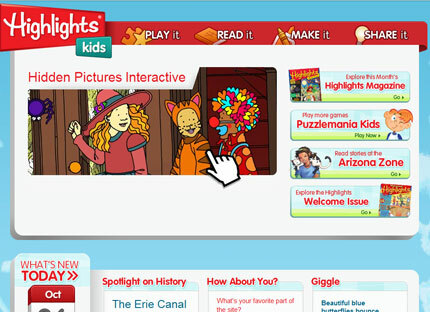 Highlights Kids is a must-see website. The craft section has some excellent projects for children of all ages. 3. Rio the offical movie website is just as colourful and stunning as the movie itself. Under "activities" you'll find games, printables and more. 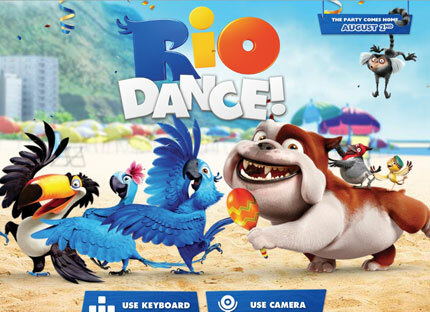 Make sure you check out the Rio Dance game! 4. 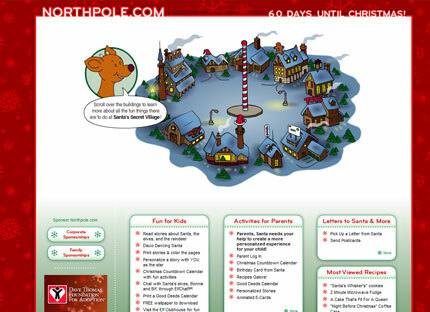 Northpole shows what’s happening in Santa’s Secret Village. Kids can create their own story book, play games, read Christmas stories, write a letter to Santa and send Christmas Postcards to their friends. 5. 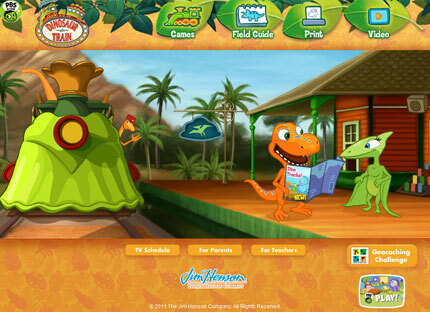 Dinosaur Train is currently one of my daughter's favourite websites. Fun games online for preschoolers and the colouring pages are excellent. It's also educational! Make sure you check out the Hatching Party under games (you'll need a printer and a web cam), my daughter thinks its magic. Hungry Herbivore is a good game for preschoolers to learn to use the mouse. 6. DressUpGirl.net Free on dress up, fashion dress up, fashion for barbie, girl dress up, girl maker over - Fashion Dress up! Play great, fun fashion games. 7. The Official Site of Polly Pocket. 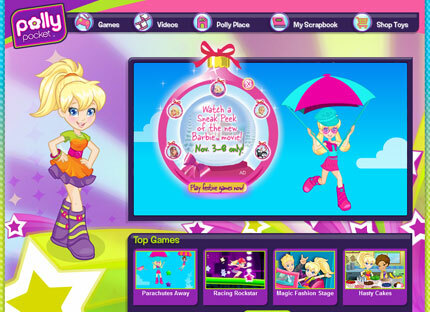 Fun activities and games online for fans of Polly Pocket. 8. 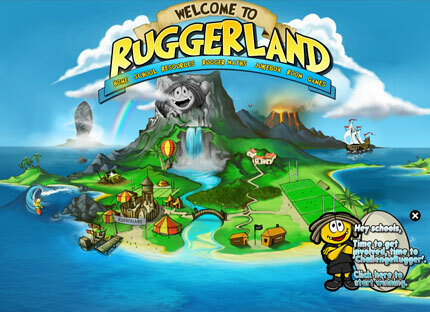 Ruggerland there are activities, rugger maths, competitions and more. Perfect for the kids who love rugby and educational too! Parents try clicking on "Resources" link at the top and looking at the teacher resources, where you will find buckets loads of printables. 9. 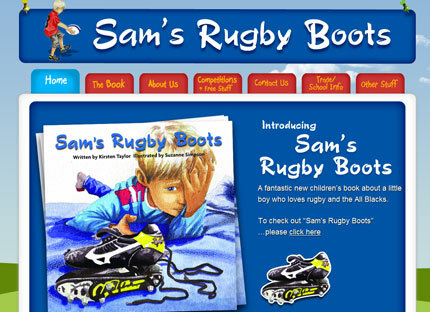 Sam's Rugby Boots a fantastic new children's book about a little boy who loves rugby and the All Blacks. Check out the "Competitions and Free Stuff" page for rugby themed word finds, puzzles and more. There's an excellent kids printable reward chart there too! 10. 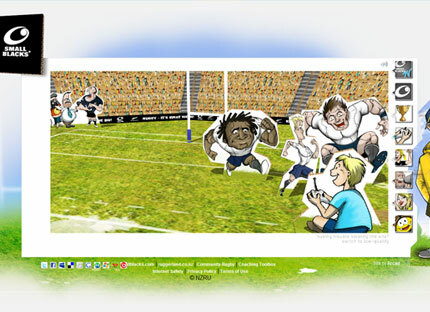 Small Blacks is a fun rugby website your kids can explore. Free online games and more. A recent great find is KidZui (www.kidzui.com). My 3 year old LOVES playing on my laptop, KidZui turns Firefox into fun, kid-safe browser and online playground. Thank you for the list of popular kids websites. It's very handy and saves wasting time searching. Nice to see NZ websites too.